Here it is, a pile of contact sheets that represent the fruits of my labour from the past six months. Amongst the few hundred frames I’ve shot (about 1500 to be precise), I now have to tease out a coherent selection of photographs. I’ve had a quick scan through them and I’m trying not to let the wave of ‘contact-sheet depression’ set in. It usually does, and although short lived, it can be quite overpowering! I’ll set them aside for a few days and come back with fresh eyes. In the meantime, I thought it might be interesting to briefly outline how I normally edit my work. I’ll do this using my first book, Motherland, as a case study. I’ve also pulled out some quotes from other photographers who discuss their approach to editing. To produce Motherland I shot just over 5000 frames during the course of my year traveling across Russia (for the techies among you, I used a Mamiya 7 camera with Kodak Portra 220 film). 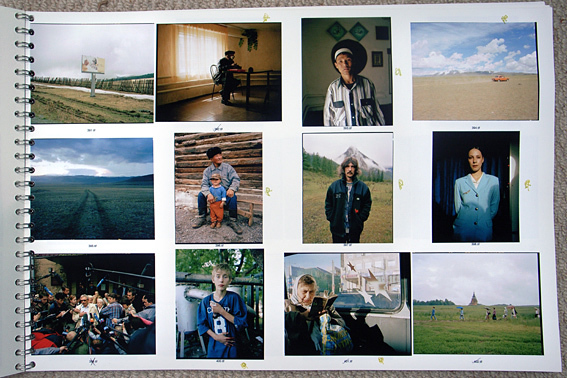 Every three months, on my return to Moscow to get a visa extension, I had the film processed and contact sheets made. This enabled me to do some editing during the course of the journey. It also allowed me to evaluate how each stage of the project was developing, what themes were emerging and work out what I needed to be looking for during the next stage of shooting. Critically, it also meant I could check that the camera/ lenses were working properly and that the film hadn’t been fogged by some Soviet-era airport security scanner. After a couple of months I gradually (and somewhat painfully) whittled the 500 images down to the final book edit of 153 photographs. This was done with the help of some editors, most notably Chris Boot, my publisher. It was critically important that I had an external eye (and someone I trusted and respected) to help with the editing. I was too emotionally attached to the photographs and in several cases wanted to select images that just weren’t strong enough or didn’t fit as a whole. The final stage was to prepare the 153 scanned photographs, getting the colours correct and doing some slight cleaning up in photoshop. They were then turned into CMYK files for the printers. I also made 10×8 prints of all the photographs which were used for colour matching at the printers. With regards We English, the editing process will be made slightly easier as the 5×4″ negative is a lovely size to preview, which means I won’t have to scan as many images. Time is also on my side. The book won’t be going into production until Spring next year. 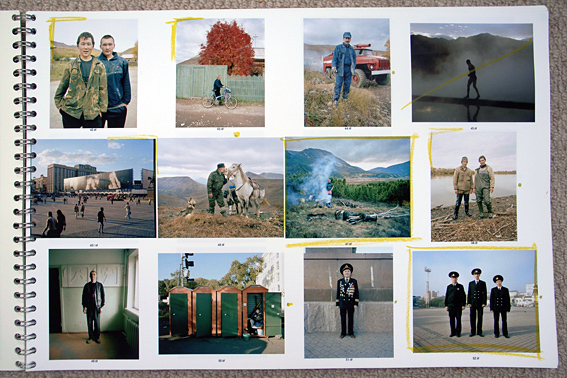 I’m envisaging there will be about half the number of photographs in the book than there were for Motherland. These quotes are taken from the book Image Makers, Image Takers by Anne-Celine Jaeger. 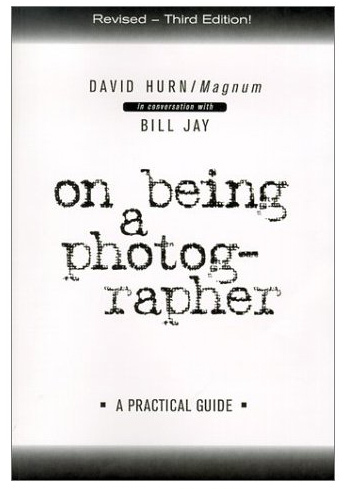 And a few paragraphs taken from On being a photographer – David Hurn/Magnum in conversation with Bill Jay. “The myth is that the best photographers are the only ones who have the insight and ability to select the best images of their own work for publication or exhibition. The myth arises because the photographer is often too close to the subject matter, invests the content with emotion which might not be present in the picture, and believes that in order to be ‘true to myself’ he/she has a special insight into the work. But the best editors of images are those who are capable of divorcing themselves from emotion when judging their own (or others’) work and assessing picture merit dispassionately and with a cold logic. In the same way that writers are enhanced by a close relationship with a good editor, so a photographer can benefit from the insights of a good picture-editor. W.Eugene Smith, who became a legend by resigning from Life magazine because he was not allowed full control over picture selection. When he was given the opportunity to edit his own work the results were disastrous, as epitomized by his Pittsburgh essay. He shot over 11,000 negatives in one year (1955), printed 7,000 proofs, and selected 2,000 images. The only publication willing to use the result was Popular Photography Annual, 1958. It used 88 images over 34 pages. Even on Smith’s terms, the whole project was a failure. This entry was posted on Tuesday, September 30th, 2008 at 5:27 pm	and is filed under POST PRODUCTION. You can follow any responses to this entry through the RSS 2.0 feed. Both comments and pings are currently closed. Funnily enough, I’ve just come across a recent issue of PDN magazine which features an interview with Joakim Eskildsen. 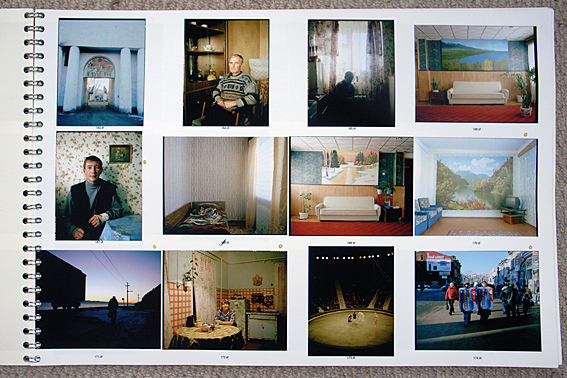 The Roma Journeys, an epic 416-page travelogue which features photographs between 2000 and 2006 of Roma people and settlements in Hungary, Greece, Romania, France, Russia and Finland is Eskildsen’s first commercially published book (Steidl, 2007). Over the course of six years, Eskildsen estimates he made close to 30,000 photographs of the Roma. His original dummy featured 500 images, although he got this down to a final edit of nearly 250 photographs. So good to see someone discussing editing pictures, and so rare to see this done in hard copy these days – and from film (of course). I’ve yet to read all the quotes – except those from David Hurn & Bill Jay, from a book that has been bedside reading for many years – but I’m interested how much of this transfers to digital editing, in Lightroom, Bridge or Aperture, etc. I’ve always liked to hold hard copy in my hand, spread it out on the floor or pin it to the wall to compare and contrast. Not so easy on a screen. It’s great to hear someone else talk about contact sheet depression, I suffer from it terribly, even though I expect it to happen it still hits you hard. Enjoying the blog, keep it up. Way back when I shot film, I used to love looking at contact sheets! It was always fun to find the unexpectedly interesting images among the dross. The worst part way _making_ the damn things! have a great day and thank you again! THANK YOU so much for this help, It’s just what I needed! I appreciate your expertise, and I am bookmarking this tutorial! Have a great weekend! It’s really nice to see people discussing about editing pictures, and so rare to see this type of blogs. I have searched the net from the first blog to the last. And that’s all i can find about this. But it was worth it! Because here I found what i’ve searched. 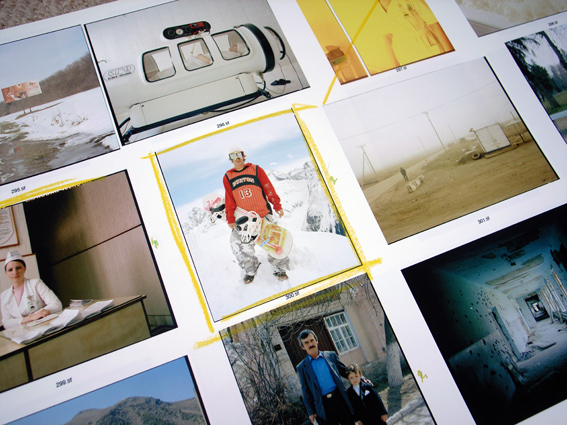 Did you use Kodak Portra 400 or 160 for motherland? I read that 400 is optimised for scanning? I plan to use an Imacon scanner at Photofusion. Kieren- I used Portra 400NC 220 roll film for Motherland. It was very versatile given the extreme conditions I was working in and yes, it scanned well on an Imacon. 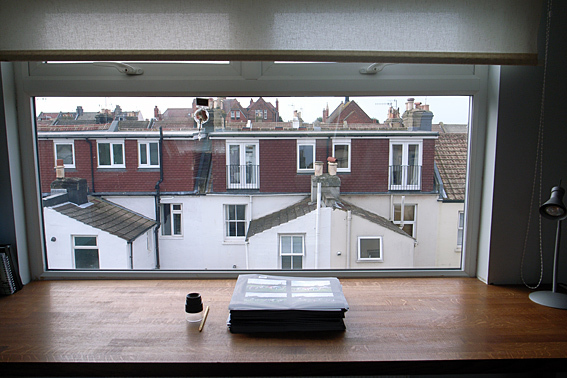 © 2008-2009 Simon Roberts. All rights reserved.